Ramsey Cottage Hospital has become the first in the British Isles to be using new 24-hour sensor technology to monitor patients. 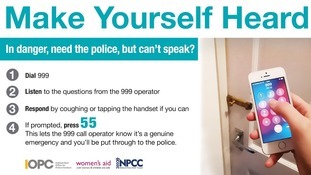 It is not true that police will automatically attend if you make a silent 999 call - here is what needs to happen. A new project in Manchester to encourage more women candidates into a career in cyber security has been announced. Its one of a number of schemes across the UK that will benefit from around £500 thousand pounds. The aim of the Fund is to boost not only the total number, but the diversity of those working in the UK’s cyber security industry. Manchester drivers will be offered free eye tests this month. 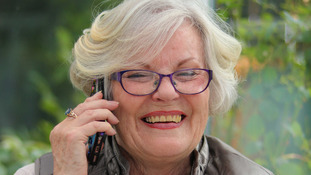 A product trialled earlier this year has led to the launch of MT clearSound, which helps people with hearing impairments make phone calls. A fault which prevented landline numbers from calling 999 on the Isle of Man has now been resolved. Yesterday Manx Telecom apologised to customers who could not contact the Emergency Services from around 8:35am, stating that the problems were due to failed ISDN circuits. Mobile phones were still able to connect, while landlines were delayed for hours. Noble’s Hospital, Government departments, Manx Telecom headquarters and a number of local businesses were also affected. Driverless vehicles are being trialled in the Lake District. The National Park Authority is test driving a special 'pod' at Brockholes on Windermere. The pods use sensors to detect road conditions and obstacles in the road. It hopes the electric vehicle could help to protect the environment in the Lakes. Jack McLinden has multiple health conditions - but was still able to enjoy all the excitement on the pitch with his beloved football team.